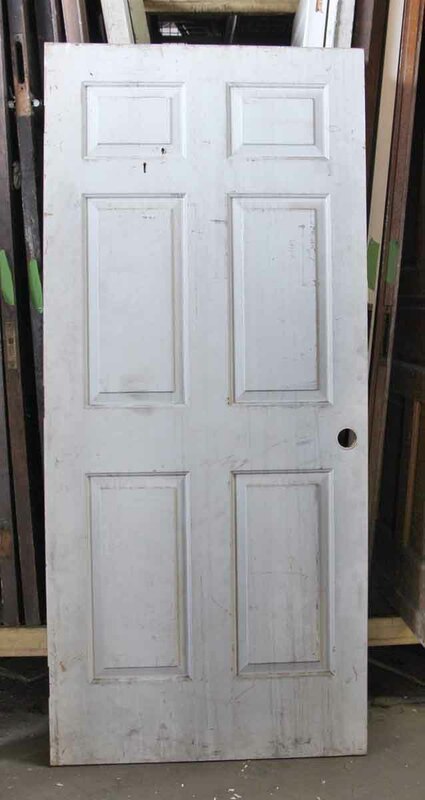 Painted white wooden door with six panels. 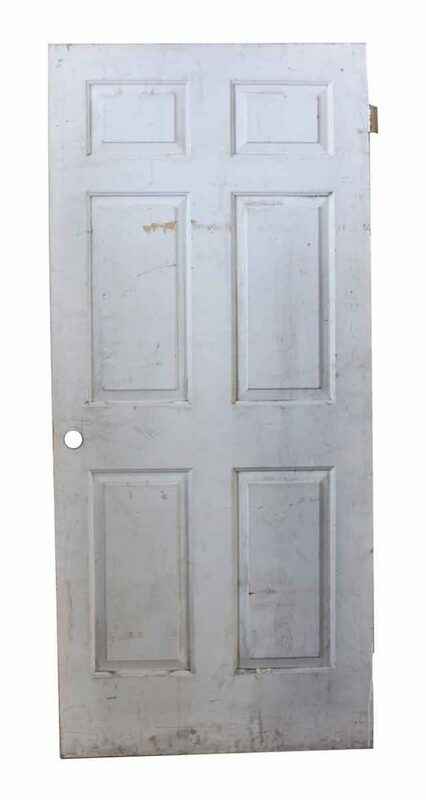 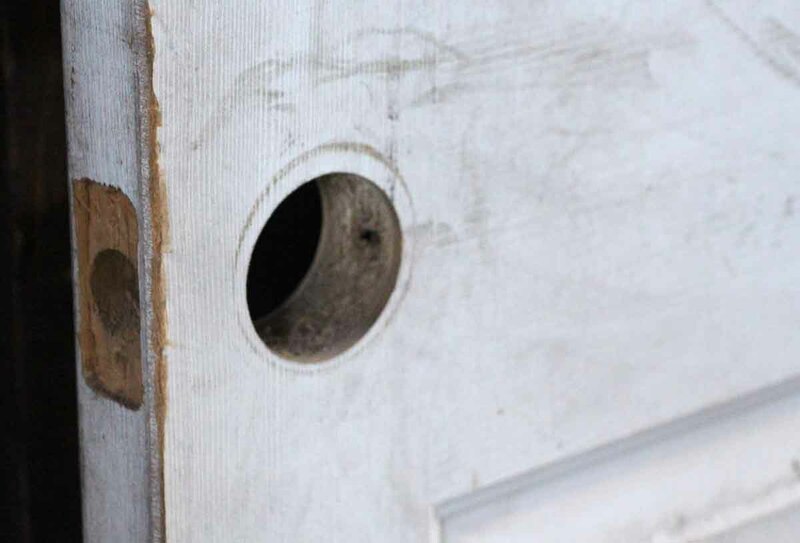 The door shows wear from age and use. One available.